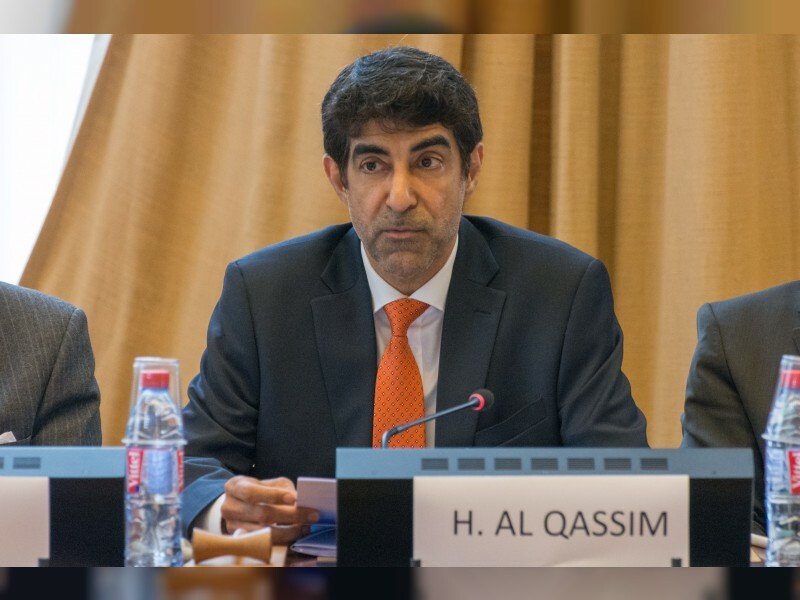 GENEVA, 23rd October, 2017 (WAM) -- Dr. Hanif Al Qassim, Chairman of the Geneva Centre for Human Rights Advancement and Global Dialogue, has called for enhancing the role of the United Nations to address issues related to the promotion of peace and security as a platform for collaboration and the advancement of human rights. On the occasion of the 2017 United Nations Day and the UN's 72nd anniversary, Dr. Al Qassim said, "We strongly commend the vision of the United Nations to establish the Sustainable Development Goals and the Millennium Development Goals, that aim to promote peace and justice in every corner of the world." "The achievements of the United Nations since its establishment in promoting a future in the mutual interest of all peoples has been remarkable," he said, praising the UN efforts in bringing numerous issues of relevance to social and human development at the forefront of international decision-making. He warned against the politicisation of human rights, saying that, "The protection and promotion of human rights is often more influenced by political interests than by human rights policy. States are rarely guided by the vision of a values-driven human rights system to redress abuses inflicted on civilians. They are more likely to be swayed by political interests at odds with those systems." "The purpose of the United Nations is to promote international co-operation and to achieve international peace and security. Beating the drums of war impedes the ability of the United Nations to act as a platform and a neutral broker for solving disputes among its member States. All disputes must be resolved within the framework set forth in the Charter of the United Nations calling for the promotion of peaceful relations and refraining from acts of aggression and the settling of disputes through military means," Dr. Al Qassim added. To enhance the role of the United Nations in dealing with such issues, he said that the UN needs to strengthen its efforts to accelerate disarmament, enhance peacebuilding and contribute to preventive diplomacy and mediation through dialogue, conflict prevention and dispute settlement. "The United Nations is needed more than ever before to promote peace and justice worldwide," concluded Dr. Al Qassim.